You may have already read that in August CELT purchased a new property at 498 Spurwink Avenue. I am so excited that this land, encompassing 30+ acres of fields, forests, and wetlands is now conserved for the benefit of the public. Having walked throughout this varied landscape, I experienced a sense of going back in time, with vistas of open fields and forested areas, and I’m excited that soon CELT will be able to share that with you. Although we will allow public access in the future, there is much work to be done to prepare the site for visitors so it will be closed to the public for a while. Once trails have been created, visitors will be able to meander on a network from CELT’s Runaway Farm preserve, across Pollack Creek, onto this new property, then hooking up with the Town’s Gull Crest, Town Farm and Spurwink Trails and circle back to Runaway Farm. We are so happy to have obtained this spectacular property below appraised value and are still raising funds towards the purchase and stewardship of the land. Since we needed to close quickly we were able to get interim financing made possible by The Conservation Fund. Stewardship Committee and Board members have already been working diligently to complete a management plan, make safety improvements and start planning trails. As always, we welcome volunteers interested in helping! We envision expanding our popular education and community programs to this property in the future and are considering the high-quality farm soils as we make our plans. 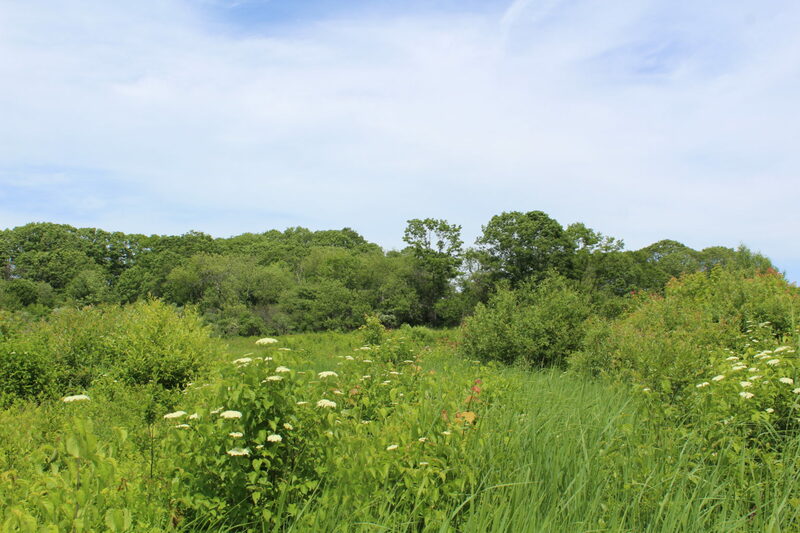 The property also has potential habitat for the cottontail rabbit and declining species of birds such as Red-shouldered Hawk, Blue-winged Warbler, Northern Flicker, Blue Heron, Wood Duck, and Bald Eagle.